Dr Anisur Rahman, the veteran leader of the Muslim Community in New Zealand was presented with the Hamilton City Civic Award, one of the highest honours the city can bestow on its citizens. The award recognised people who had made a difference to the community with their outstanding contributions to the society. In a ceremony held on Friday 11 December the award was received by Anjum Rahman, daughter and Aaminah Ghani, grand daughter representing Dr Rahman, who although on the way to New Zealand to receive the award had to stay in Kula Lumpur due to some unavoidable circumstances. The event was also attended by Mustafa Farouk and Anwar Ghani representing Waikato Muslim Association. Dr Anisur Rahman, originally from India, has been living in Hamilton since 1972 when he joined AgResearch, Ruakura Research Centre, Hamilton as a research scientist having moved from Vancouver, Canada. He finally retired this year from his position of Senior Scientist after an outstanding service spanning more than 43 years. There were hardly any Muslims residing in Hamilton in 1972. 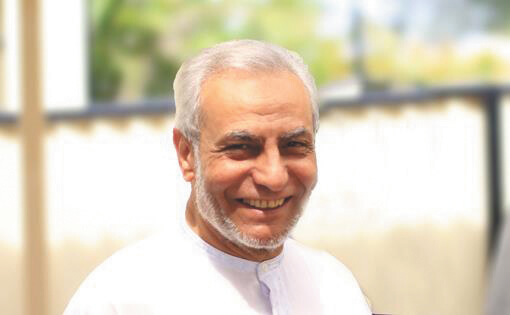 The first contact Dr Rahman made was with Mahmood Bhikoo, President of NZ Muslim Association living in Auckland. Mahmood and his wife Fatima provided company and helped them to settle in. 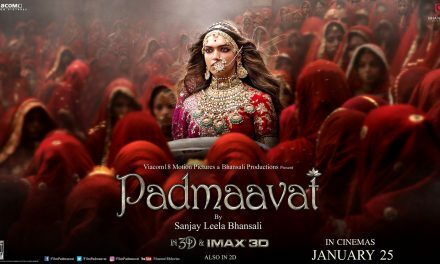 In 1973 he made contact with Amin Farooqui who was living in nearby Putarura with his wife Hanifa, his father in law Hafizur Rahman and his family. This developed into a lifelong family friendship where the second generation kids grew together. From left: Anjum, Qamar, Dr Anisur Rahman, Nekhat and Nadeem. 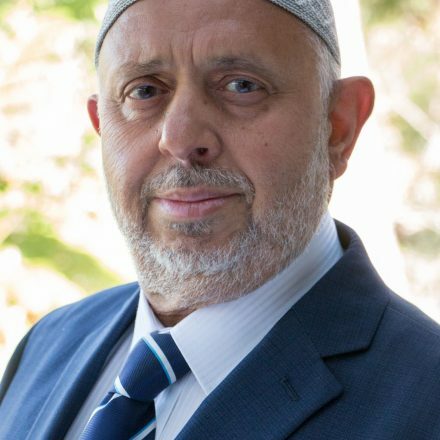 With the arrival of international students at the Waikato University, congregational prayers were held at the residence of Dr Rahman during the early seventies. Later Juma prayers were established at the same venue led by Dr Rahman 1975. 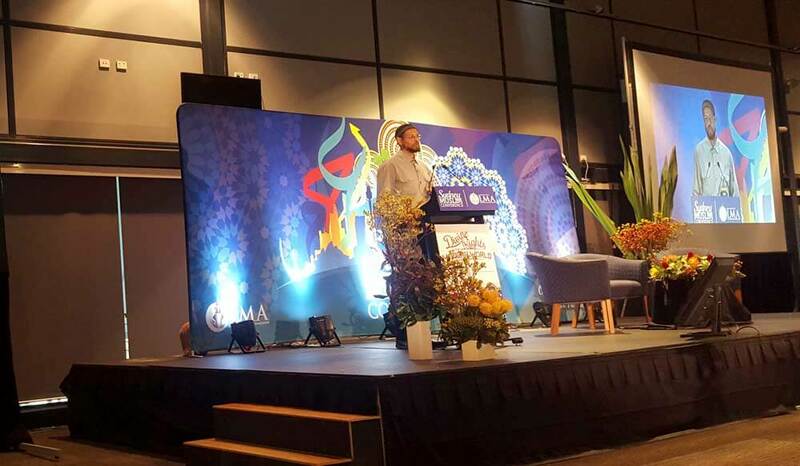 In the same year Muslim Association of Waikato was established informally that was formally registered 1n 1979 as Wailkato-Bay of Plenty Muslim Association and joined the newly formed Federation of Islamic Association of New Zealand (FIANZ). IN 1984 a three bedroom villa on half an acre plot was purchased by the association to function as an Islamic Centre with the commencement of regular prayers and Quranic classes. 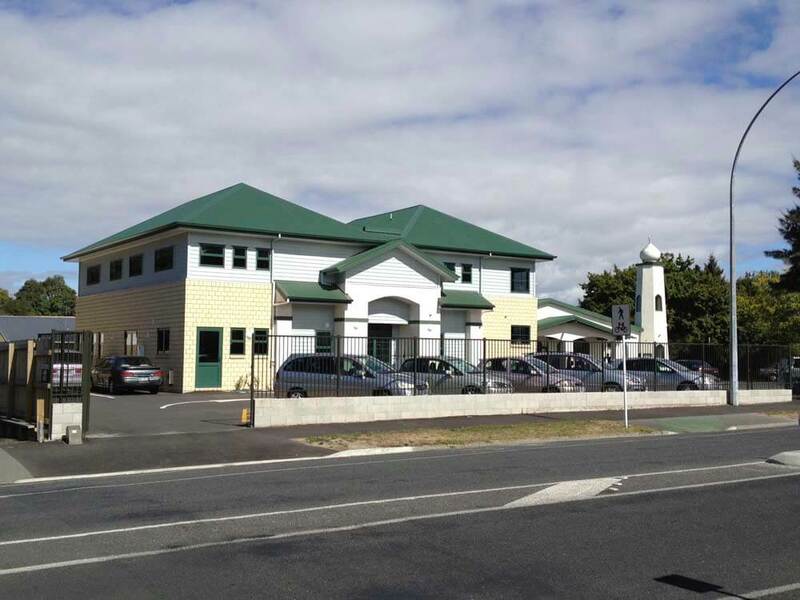 Construction work for a purpose built mosque in Hamilton started in May 1997 and an opening ceremony was held in February 1998 attended by Muslim community as well as mayor and councilors of the city of Hamilton together with Church leaders and Maori community leaders. The rebuilt Hamilton Mosque after the arson attack in 1998. Tragically in August 1998 the first mosque in Hamilton was gutted by arson where the Police never caught the culprits. However this resulted in an overwhelming sympathy and great support from the wider community in Hamilton resulting in raising funds for the rebuilding of the mosque within a year. Today Hamilton hosts a vibrant Muslim community living in peace with all its citizens engaged in daawah activities from Tabligh gatherings to interfaith meetings, womens activities, hosting of international conferences and providing Islamic education to all and in particular to the young generation. 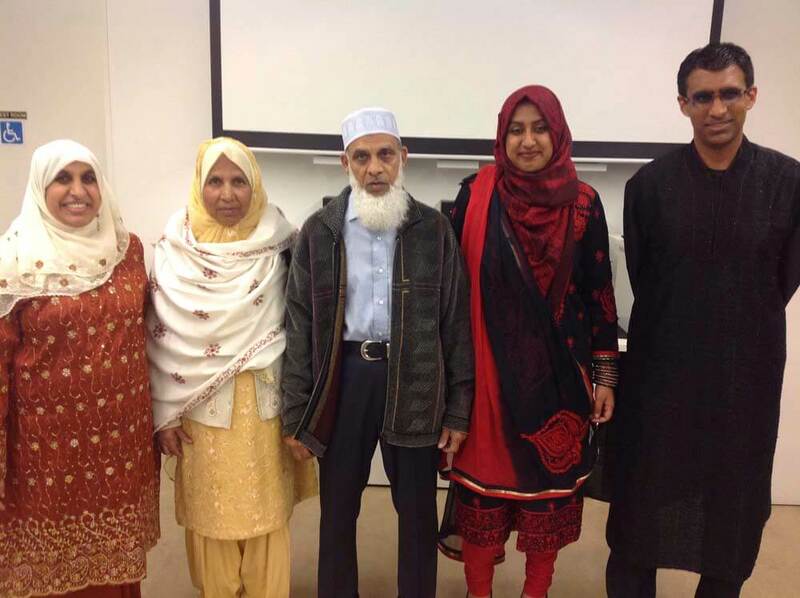 Dr Anisur Rahman supported by his wife Mrs Qamar Rahman, their children Nadeem, Anjum and Shadia together with their extended family have played a pioneering role towards the development of the Muslim community in Hamilton.